Hi there guys! Today is a it's-Tuesday-but-feels-like-Monday for me since my family was home yesterday because of Columbus Day. We had a great weekend. Nice and relaxing and long! On Sunday we made Chocolate Pudding Bundt cake for the first time in a while. I've forgotten how good it is. And easy. And pretty! But too bad I didn't take a picture because we were too busy eating it. And did I mention it doesn't have any butter/oil in the cake? Just lots of chocolate. I love fall! 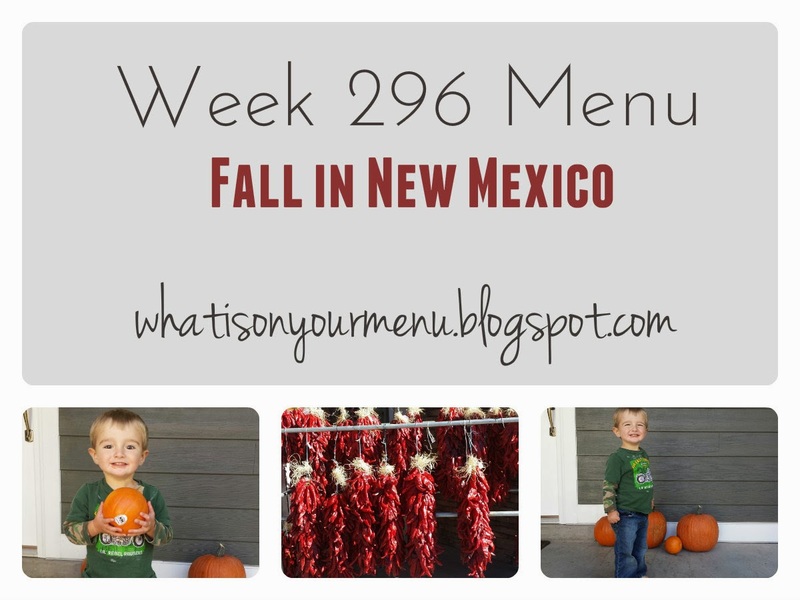 Especially in New Mexico...green chile roasting, chile ristras everywhere, pumpkins, sweater wearing. I could do without being cold though. I hate being cold. Since I've already spent way too long on the computer this morning, I'll make this short and sweet. What are you making this week? What are your fall favorites where you live?